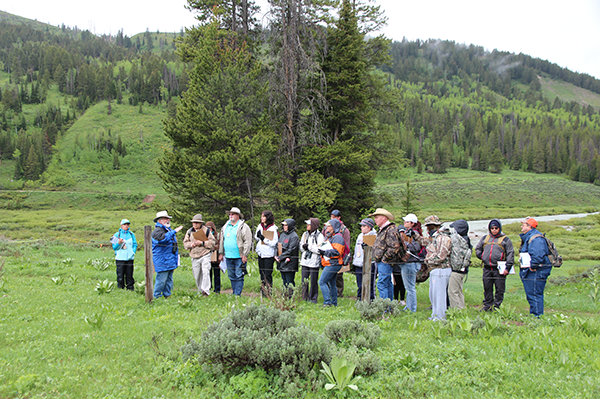 The Greater Dacotah Chapter of Safari Club International is proud to announce that one of many teachers from Rapid City has completed a class at the American Wilderness Leadership School located in Jackson Hole Wyoming. The local chapter along with the Safari Club International Foundation has sent 8 local teachers to this camp since the chapter was founded. The Greater Dacotah chapter pays the registration fees for interested educators to attend this week-long camp at the base of the Teton Mountains. These teachers come back with many skills to present to their students. Wildlife conservation, land management, ecosystem approach to management, hunter ethics along with hunting and fishing skills are a few of the many educational opportunities presented at this camp in Jackson Wyoming. 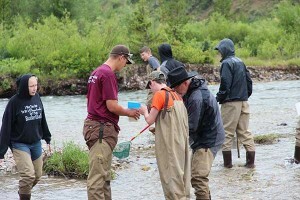 The teachers convey to their students the importance of outdoor recreation and resource management but also volunteer for the many projects that our local chapter works on throughout the year. Improve wildlife management through collaboration with state, Tribal, territorial, and conservation partners. SCI’s advocacy staff on Capitol Hill worked closely with other groups and government officials to help realize this historic change of direction by the U.S. federal government. Over 14,000 pounds of elk meat was donated to Feeding South Dakota from an elk research project at Wind Cave National Park this winter. This was first phase of a multi-year research project to reduce the prevalence rate of Chronic Wasting Disease found in the elk population at Wind Cave National Park was recently completed with 14,000 pounds of meat sent to the food bank. CWD is a disease of the nervous system found in deer and elk. 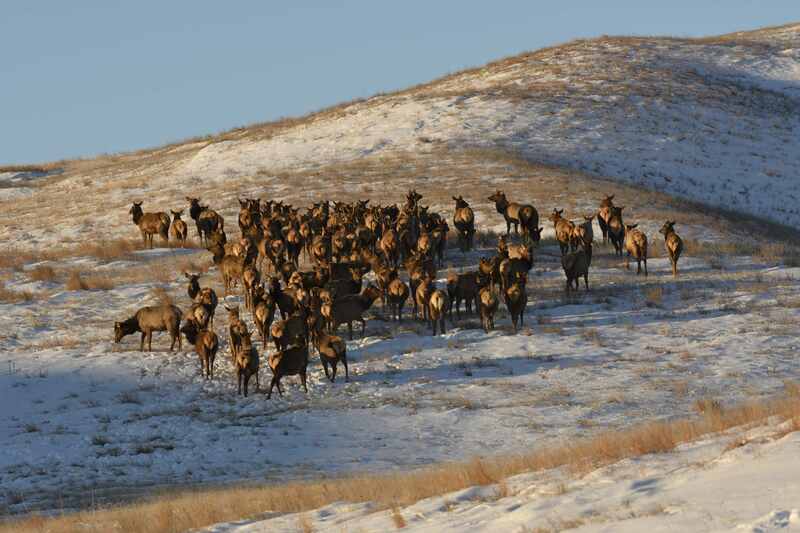 Working in conjunction with Wind Cave National Park, South Dakota Game Fish and Parks, and trained volunteers, park staff reduced the park’s elk population by 262 animals this winter. South Dakota Game, Fish and Parks, Greater Dacotah Chapter of SCI (Safari Club International), South Dakota Sportsmen Against Hunger, Black Hills Sportsmen’s Club and volunteers assisted in this project. 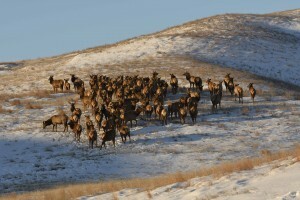 Volunteers worked with wind Cave park staff in bitter weather conditions this winter to cull the elk population to address this destructive disease. The National Park Service partnered with SD GFP to distribute elk meat that had tested negative for CWD to Feeding South Dakota, an organization dedicated to eliminating hunger in the state. Only meat that tested negative for CWD was distributed. Wind Cave National Park, Greater Dacotah Chapter of Safari Club International, South Dakota Game, Fish and Parks, South Dakota Sportsmen Against Hunger, and the Black Hills Sportsmen’s Club came together to provide over 7 tons of high protein elk meat to help feed struggling families in South Dakota. With the cultural significance of elk, a significant share of the meat harvested from Wind Cave was distributed throughout the nine Native American Reservations in South Dakota. This highly nutritious meat helped to provide a source of protein to hundreds of families in need. Scientists are seeking to determine if the park’s CWD prevalence rate is linked to the higher density of elk in the park. It is believed that by reducing the park’s elk population it will also reduce the prevalence of CWD. The effectiveness of this management action will be evaluated over the next several years to coincide with the lifespan of the disease in elk. This action is consistent with the range of options presented in the Wind Cave Elk Management Plan/ Environmental Impact Statement signed in 2009. This is an excellent example of what federal, state and NGO’s can do in wildlife management operations, and the implementation of hunting as a management tool in our National Parks. The state’s three food banks supply nearly 500 organizations in South Dakota with food. The organizations have a real need for red meat from deer and other wild game. According to the Feeding South Dakota Food Banks in Rapid City, Pierre and Sioux Falls, one in seven South Dakotans don’t have enough money to buy the food they need. That’s 100,000 people. Half of them—50,000 people—are children. If hunters cannot make it to the Clean Out Your Freezer drive, they can take professionally processed and packaged meat to Feeding South Dakota food banks in Rapid City, Sioux Falls and Pierre, or to any food pantry that accepts direct donations. Hunters should tell the food bank or pantry that the donation is for the Sportsmen Against Hunger program. Every donation is tax deductible, and hunters can take great satisfaction in knowing they are helping families in need. funds are paid by a certificate program. This has become a primary means of encouraging donations of game meat and was implemented in 1906.. As expected the financial incentive greatly increased donations. Momentum of SAH through the years has been aided greatly by a number of organizations, businesses, foundations, agencies and individual cash donors which have providing funding for SAH. The funding has been used to primarily support the Processing Certificate program and to pay for salvage processing of game such as confiscated game and also deer take under city deer reduction programs. In cooperation with Feeding South Dakota, processed game meat is delivered to food pantries and other charitable agencies across the state for distribution to the needy families. The real bottom line of game donations by hunters during the past 20 years is that the 700,000 pounds of game meat has resulted in providing over 2,800,000 meals of meat for the needy persons in South Dakota.